Business Metrics gives you insights on your close rate, the number of proposals in your account at a given time, as well as your proposal revenue at a given time. To view business metrics across all of your proposals, click the metrics icon, and choose the “Business Metrics” tab at the top. 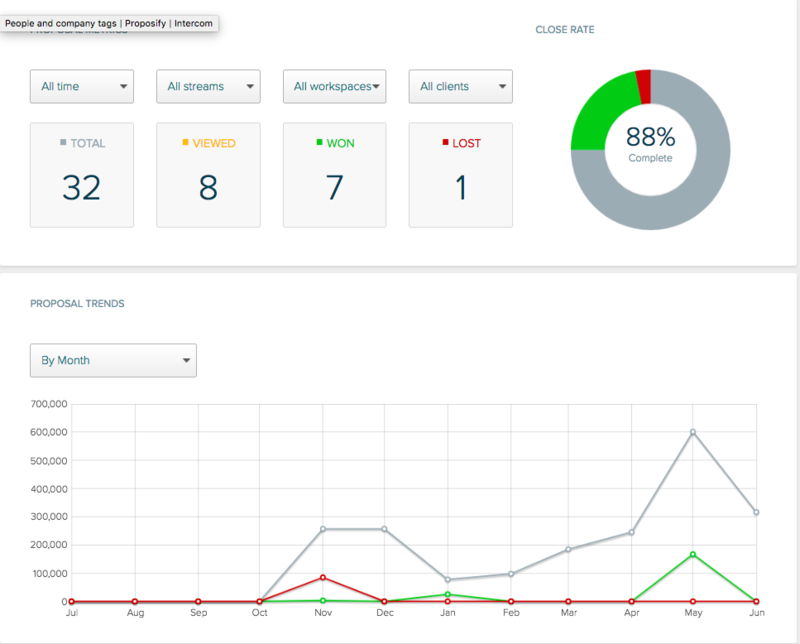 You can filter these metrics by timeframe, streams, workspaces (if applicable) and by client. The Close Rate is determined by your percentage of Won proposals. For example, let’s say your clients have responded to 13 of your proposals: 12 Won and 1 Lost. 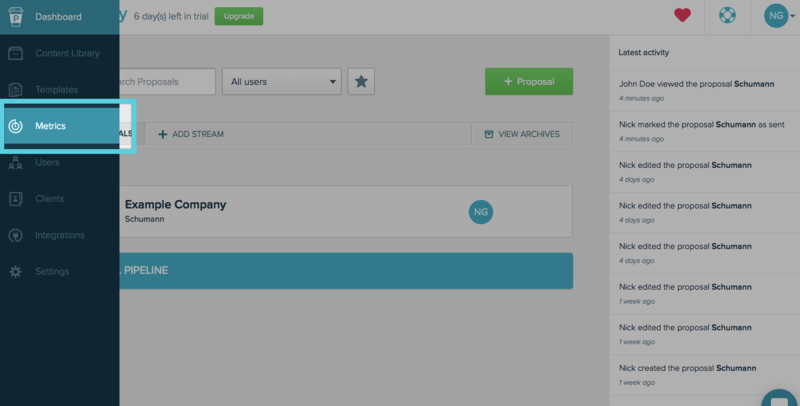 You can see a quick view of your proposal revenue near the bottom of this page. This can be filtered by Week, Month, or Quarter. Black lines represent the revenue in your active proposals, while green and black lines represent the revenue in your won and lost proposals.